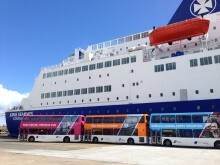 Go North East, the region’s largest bus company, is preparing for an influx of foreign tourists this festive season as Christmas events and a weak pound encourage more people to visit the North East. Three very special bus drivers have been recognised for going ‘above and beyond’ to help members of the public – including two incidents where lives were saved as a result of their actions. 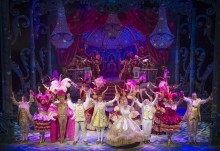 Three North East charities were told “you shall go to the ball” when Go North East and Newcastle Theatre Royal gave them VIP access to see the spectacular Cinderella panto before anyone else. ​Our 2016 star employees revealed! As always, there were a lot of very proud people and heart warming moments at Go North East's annual awards ceremony to celebrate their employees - and lots of laughter and fun to boot! 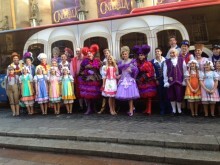 Families in the North East can choose a seat in Cinderella’s carriage and enjoy a charmed journey of their own, thanks to the fairy-tale transformation of a Go North East bus to celebrate Newcastle Theatre Royal’s record-breaking pantomime. Travel guide and the chance to win a pair of tickets for the bumper pop party! 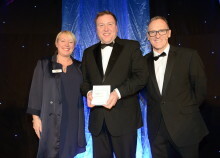 The who’s who of the bus industry joined together to celebrate the respected UK Bus Awards on Wednesday (23 November), where Go North East was recognised in several categories. 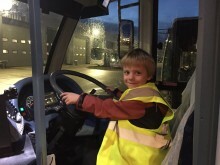 A five-year-old from Catchgate, County Durham who loves buses, was guest of honour at Go North East’s £8.5 million Riverside depot, and given an all-access tour of the region’s largest bus operator. A Gateshead school has made more money than expected in its annual fundraising event by boxing-clever with its approach to transport.